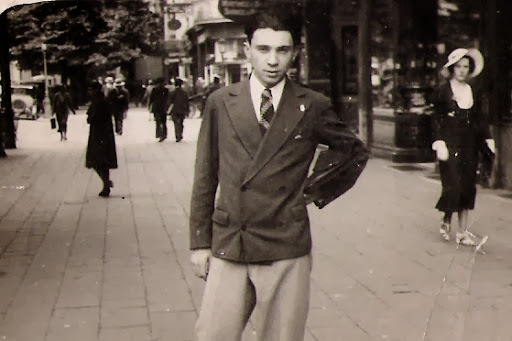 (Kraków, 20.10.2013 - 21.10.2013) After an imprisonment for nearly one and a half years at the Fort Breendonk Concentration Camp, my uncle Maximilian Hauster, born on 26.11.1909 in Czernowitz, has been deported from the SS Mechelen Transit Camp in Belgium to Auschwitz-Birkenau with Transport 19 on 14.01.1943. When they left Mechelen, two transports, 18 and 19, formed a single train of 1,625 deportees. On the way 55 men and 12 women leaped from the moving train. On 18.01.1943, the 1,558 remaining deportees disembarked at the sidings between Auschwitz and Birkenau. 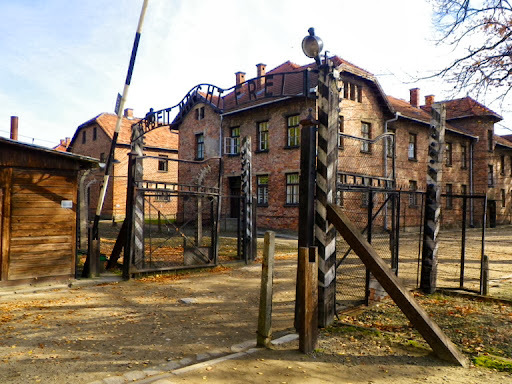 1,090 deportees [70%] were gassed upon arrival in Birkenau, 468 deportees [30%] were employed in Auschwitz and the adjacent sub camps of whom not more than 12 deportees [0.7%] survived. These data were meticulously explored and published by the Kazerne Dossin Memorial, Museum and Documentation Centre on Holocaust and Human Rights. Do you know the feeling when you are waiting for a serious diagnosis for a close family member and you are anticipating the disastrous consequences? That was exactly my feeling while I waited at the Archives of the State Museum Auschwitz-Birkenau (first building left-hand side behind the main entrance to the concentration camp) for the result of my inquiry with respect to my uncle Maximilian Hauster and, as was feared, not a shred of evidence concerning his further destiny after the arrival in Birkenau. But the more than helpful and engaged archivists provided new and yet unexplored leads, wich I'm going to research in the near furure. Good luck in your holly research. I had better luck, arrived to Auschwitz by 11th transport from Mechelen I found 2 documents in Auschwitz Archives, one from the hospital and one a "paylist" from the laundry. Good luck and go on trying.